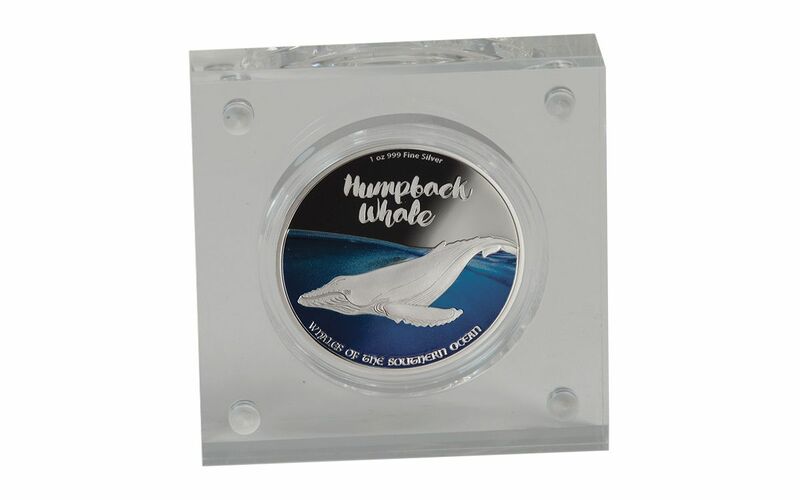 The Majestic Beauty of the Humpback Whale, Captured in 99.9% Pure Silver! 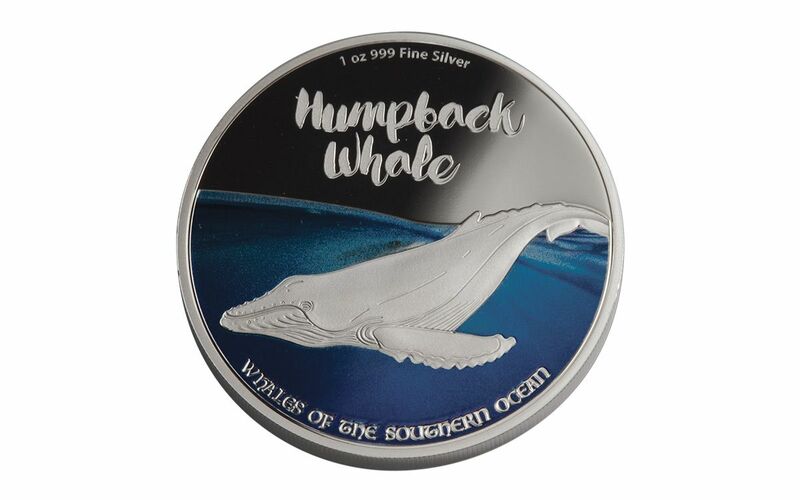 Amidst the deep, beautiful blue of the southern oceans are some of the most magnificent and gigantic whales in the world. These fascinating mammals spend their lives entirely in the water, yet need oxygen from above the surface to live. They rely on sound, not sight, to navigate their way through the deep. Their size makes them intimidating, but their gentle and playful nature inspires awe by those lucky enough to encounter them in person. Once frighteningly endangered in the early 20th century, these creatures are now seeing a beautiful resurgence. 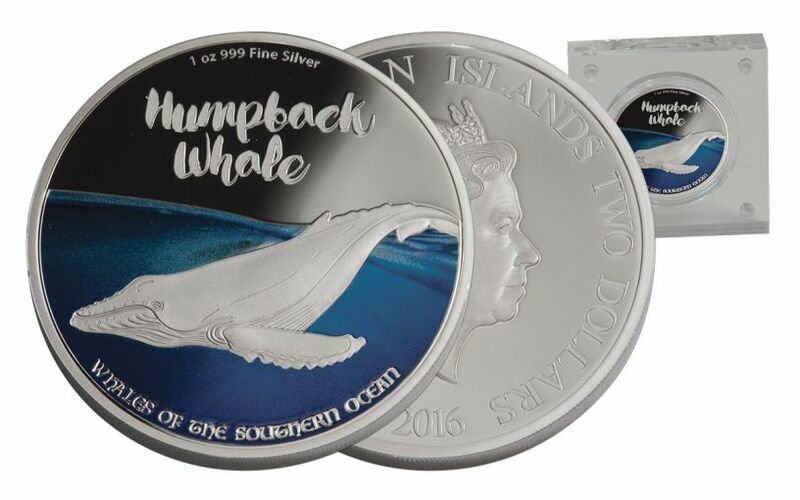 Your 2016 Humpback Whale of the Southern Ocean Silver Proof will come to you in special New Zealand Mint packaging, including an acrylic coin case, colorful box and numbered certificate of authenticity. 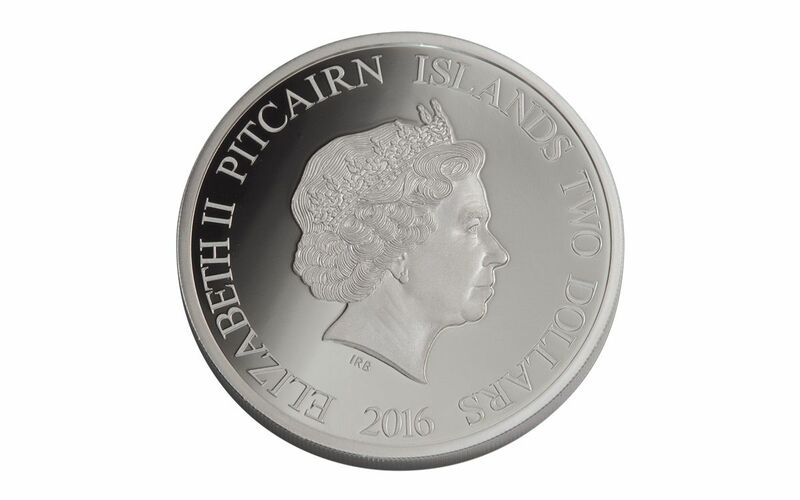 Don't wait too long to get yours -- with only 2,000 of these proofs available, we can see them quickly swimming away from our vaults! Float one to your cart now!